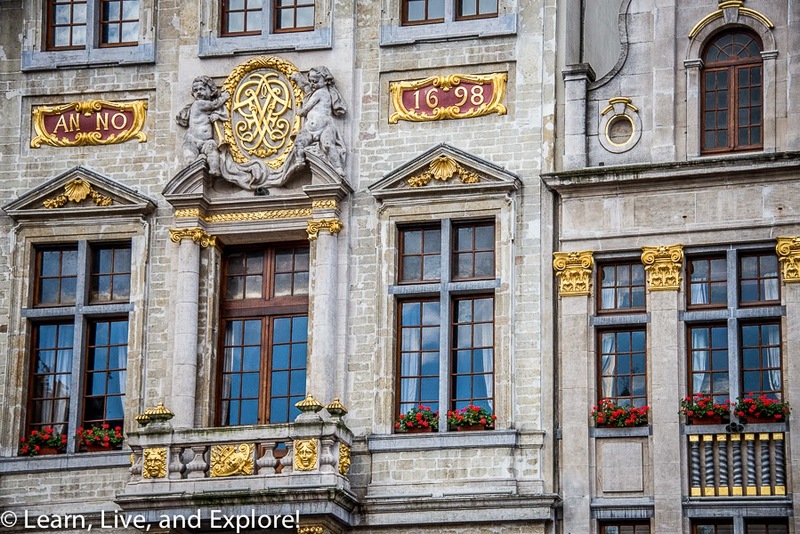 A Week in Belgium : Brussels ~ Learn, Live, and Explore! 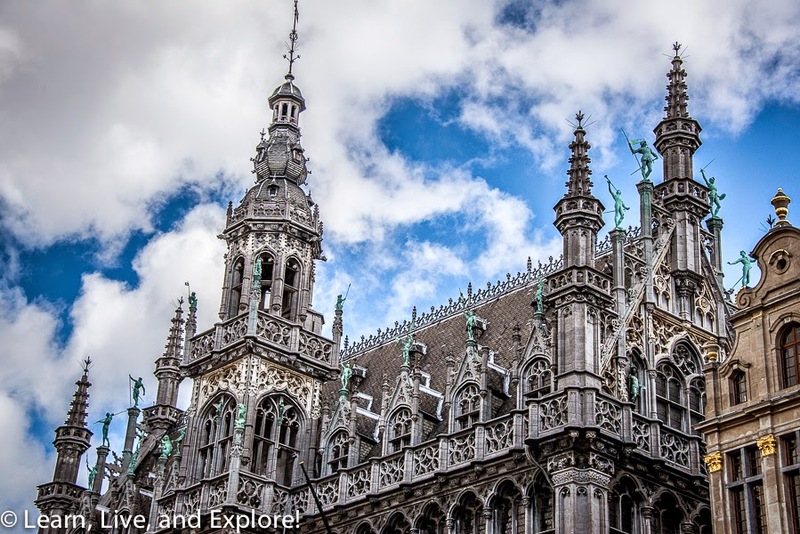 More likely than not, Brussels is going to be your entry point for your travels in Belgium. I would definitely suggest spending two days minimum in the city. In my case, I used my two days to sandwich the rest of my adventures - arriving and departing from Brussels. Arriving in the late afternoon, we took the train into the center of the city. At only 8.50 euros, this is a cheap and efficient way to cover the distance. Conveniently, our hotel was right outside the Gare Central, so we didn't have far to go before we could dump our bags and catch our breath after the long night/day of travel. Of course, with jetlag, it's very important to power through and not take a nap. 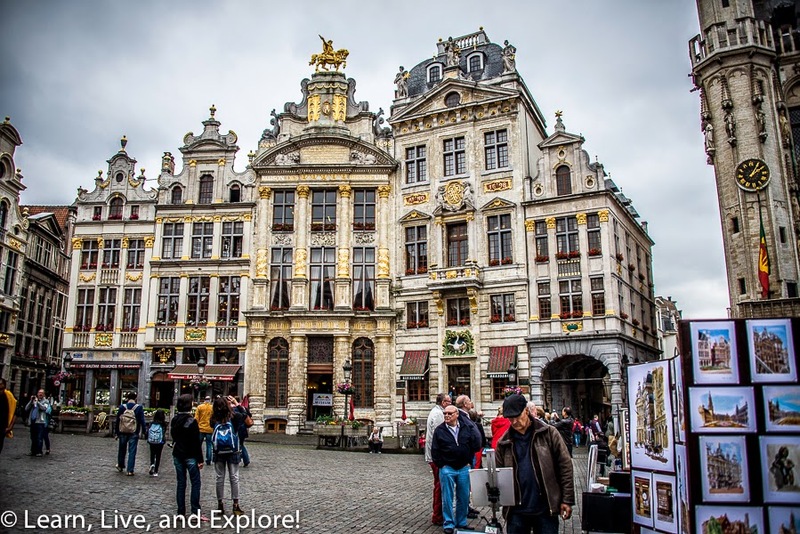 So, we set out to explore the area around La Grand-Place, or Grote Markt, to find some food and get our bearings. I had read that the Rue de Bouchers was a dining tourist trap, and the research proved true; however when you're hungry and tired, you are much more willing to pay for convenience. Dealing with the aggressive and annoying men shoving menus at you and asking to be your boyfriend, on the other hand, was something I could do without! If you're on the Rue de Bouchers, you can't miss when it intersects the Galleries Royal St. Hubert indoor shopping area. 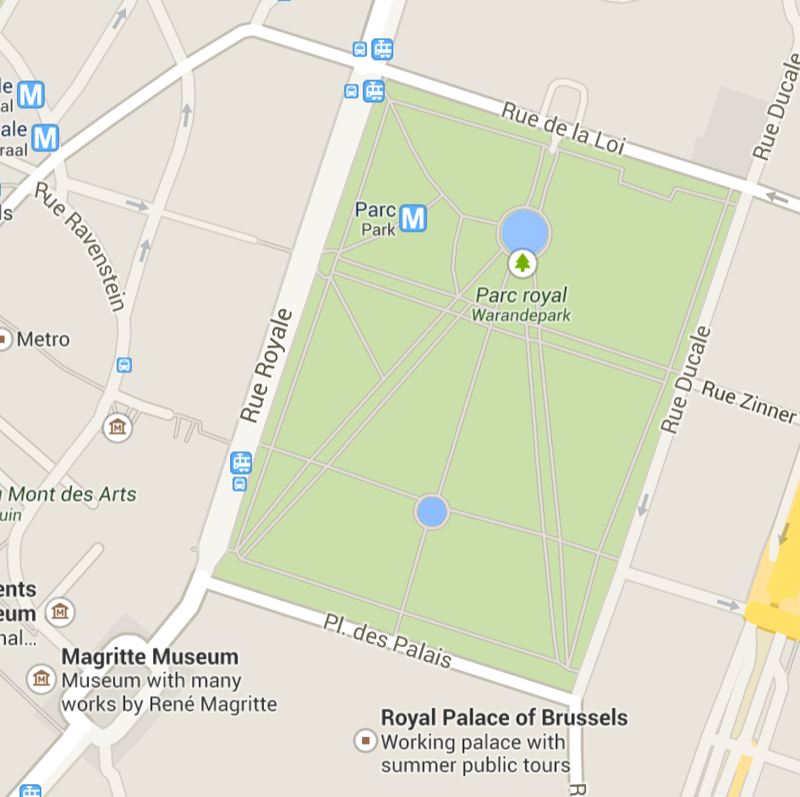 Here, you can get your fill of the nicer belgian chocolate manufacturers. It's not cheap, but it's good! The Galleries is actually the first covered shopping arcade, built in the mid-19th century and from which other famous arcades in Milan and St. Petersburg were fashioned. 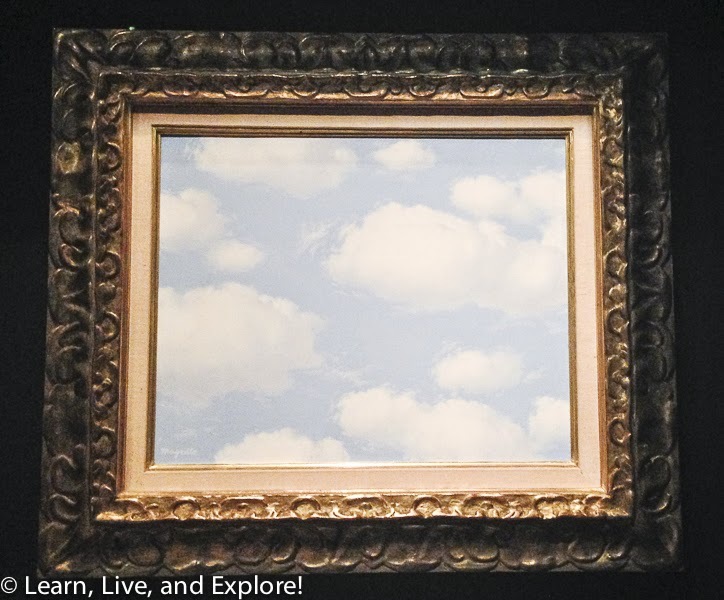 The next morning, we set out to explore the city, starting with the Musée de Magritte. 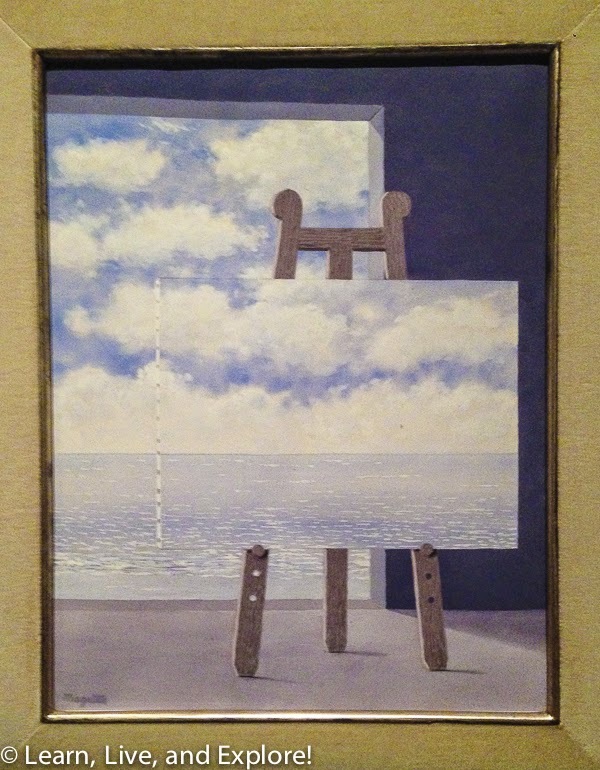 I am a huge fan of Magritte's surrealism style, preferring his art to others like Dali, and when this museum first opened in the 1990s, I was actually in Brussels but could not get an entrance ticket due to its popularity. Of course, I wasn't going to miss the opportunity this time, so I went online and not only purchased the tickets in advance but was able to select the first time slot of the day in order to view the exhibits with minimal crowds. At the turnstiles, they will make you check your bags and backpacks into a locker for the price of 2 euros. 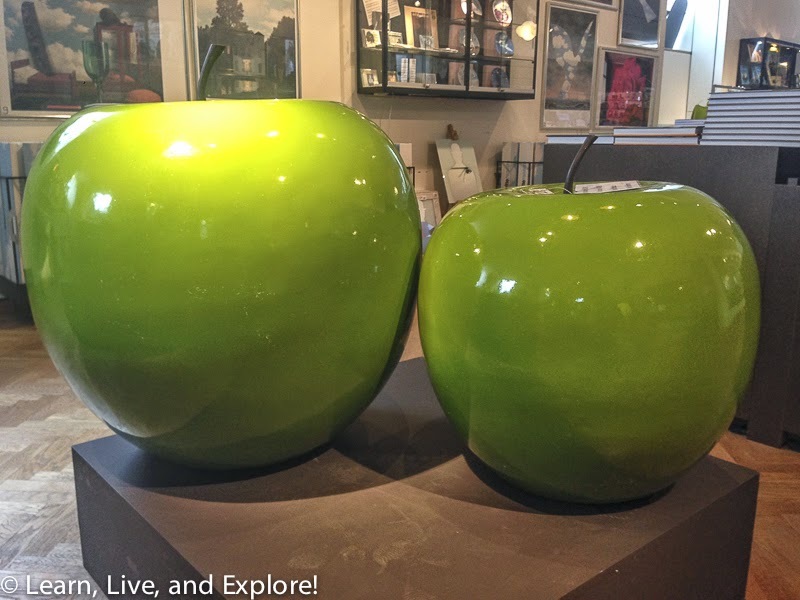 While the paintings were nice, I have to admit to experiencing great disappointment. Some of his best and most famous paintings, in my opinion, were not there!! It's supposed to be the largest collection of Magritte works, but when its a collection of his lesser known work, I feel the collection size marketing scheme is misleading. 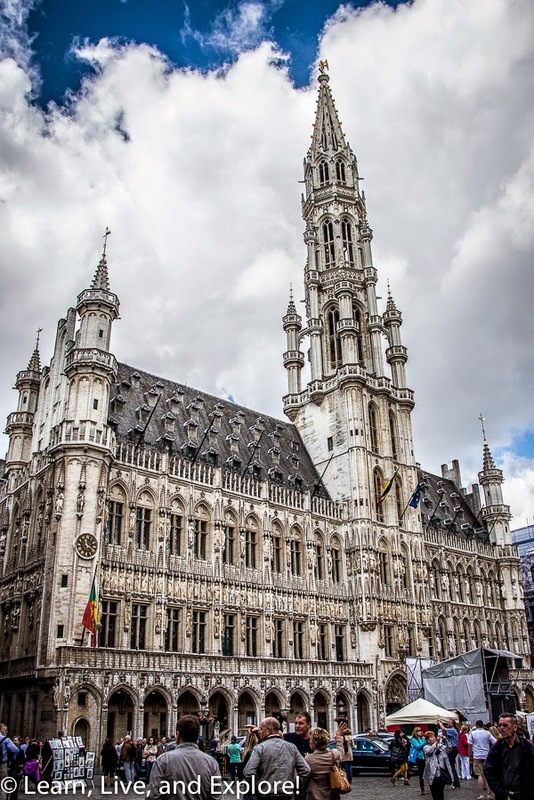 Though I was coming back to the city in 7 days, I knew my friend with me was only going to be able to see Brussels that day, and since we had already missed the start time of the free walking tour (more on that later), we set out to check boxes on the "must see" list. First, we wandered into the craziness of La Grande-Place. Next, we headed down Rue de l'Etuve to see the infamous peeing naked boy, the Manneken Pis. Unfortunately, he wasn't wearing one of his crazy costumes. 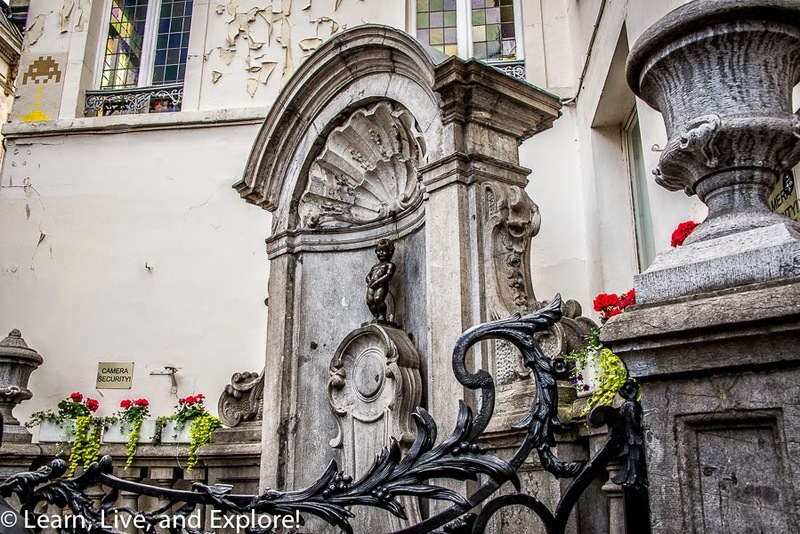 Fun fact, there's actually a girl version of this fountain somewhere else in the city - the Jeanneke Pis. 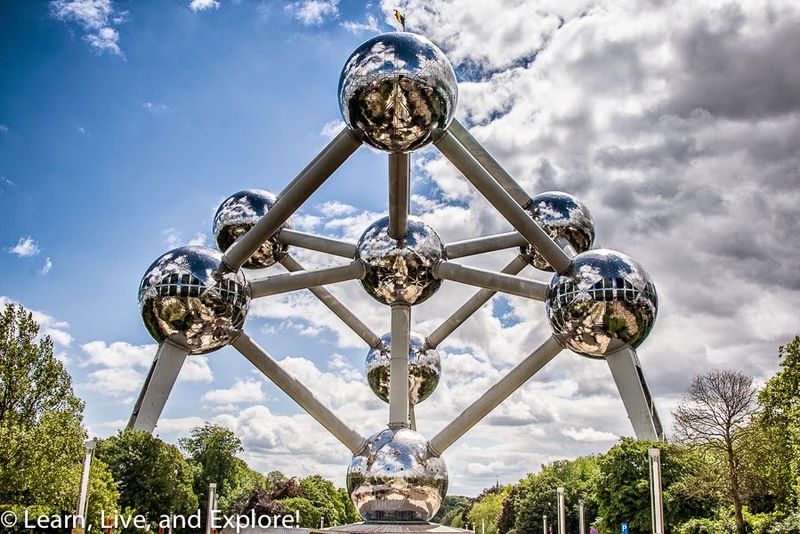 Finally, we hopped on the #6 metro at the Gare du Midi to see the Atomium (Metro: Heysel), a remnant of the 1958 World's Fair in Brussels. 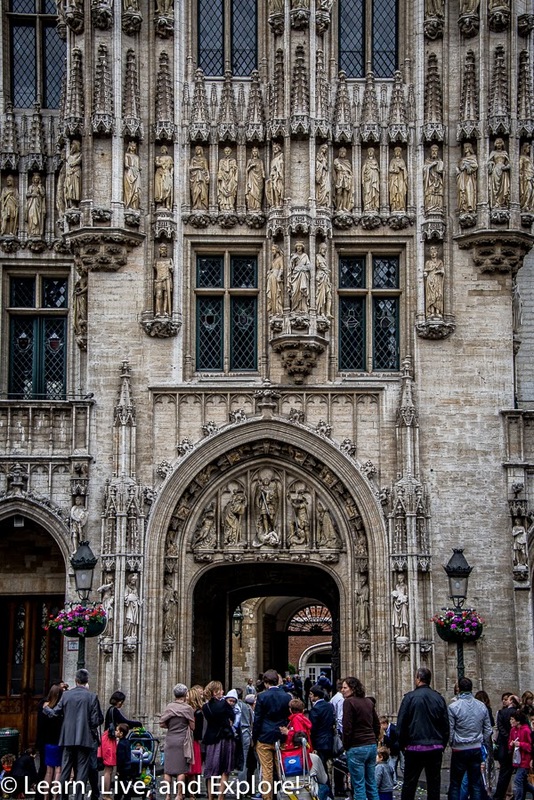 While this ended the Brussels experience for my friend, I made it a point to get back into town for my last day in Belgium in time to hop on one of the free walking tours provided by Sandemans New Europe. I know I've talked about these tours in other travel posts, having taken advantage of them in Prague, Amsterdam, and Madrid, and I can't stress how much I love them. 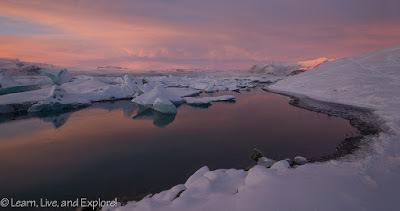 It is a great way to not only orient yourself in a foreign city, but you learn lots of new facts and anecdotes you may not get from a guidebook and you may meet some new people along the way. Since I travel solo often, like in this case, meeting people is the only way to go. Fortunately, Europe is full of solo travelers looking to find people just like me! Another selling point is that it's free and gives you the option to value your experience by tipping the guide. If it's good, I like to give 10 euros. Our Sandemans tour was led by a fantastic native guide, nicknamed PJ, who was a trooper because he had already led the morning tour before finding out he had to replace another guide on the afternoon tour who had called in sick. With a scratchy voice from his prior 3 hours of talking, he miraculously kept the oversized group engaged with fun stories as he took us from the meeting point in La Grande-Place, through the main touring areas, ending at the Royal Gardens with stories about Belgium's involvement in WWI and WWII. In La Grand-Place, I learned more about the bordering buildings: including the non-symmetrical construction story of the Hotel de Ville (and the resulting line of half windows to the right of the off center passageway), the former living space of Karl Marx where he wrote Das Kapital, and the fact that Belgians are not imaginative with their building names. This one is called the bread house because it's the spot where bakers sold bread through the early 15th century. We also were expertly told stories of the history of the Belgian people, the role of language in that history (40% French and 60% Flemish/Dutch today), and other crazy factoids I wish I had written down. 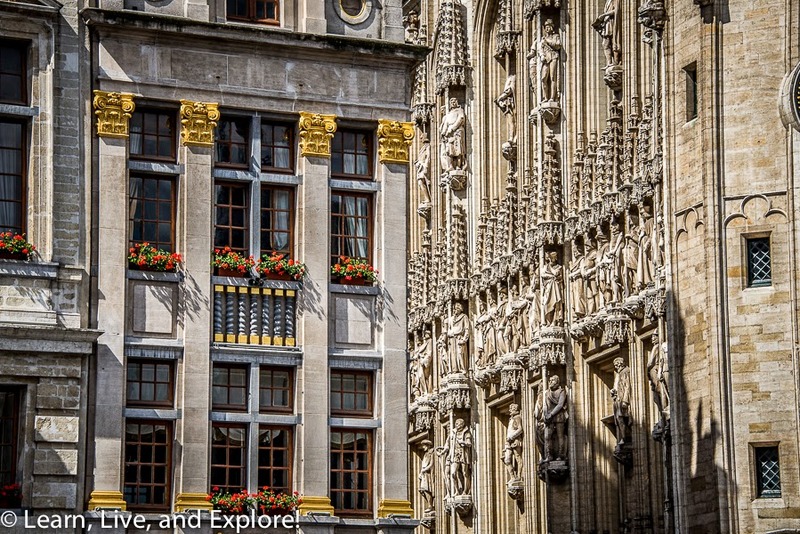 Our first stop after La Grand-Place was, not surprisingly, the Manneken Pis. 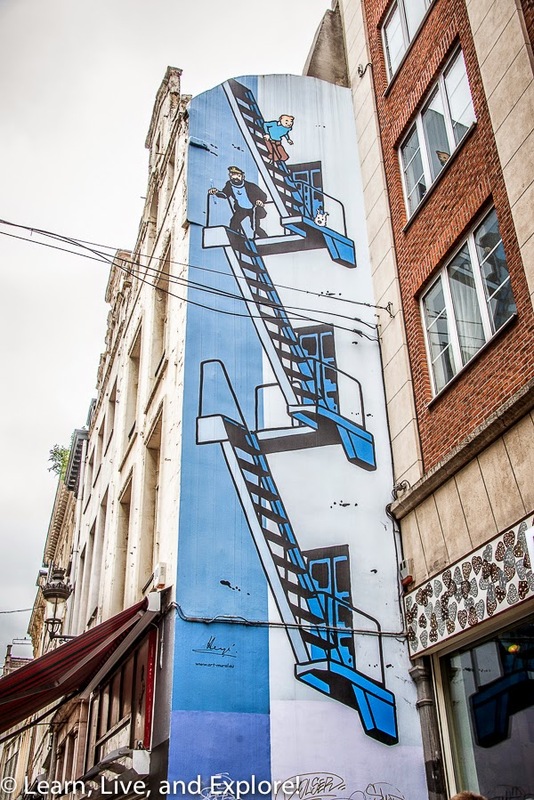 Along the way, we observed examples of Brussels' comic book heritage, viewing painted wall murals of characters of one of its two famous comics, Tintin. The other famous cartoon series? The Smurfs! I know, I was shocked too! 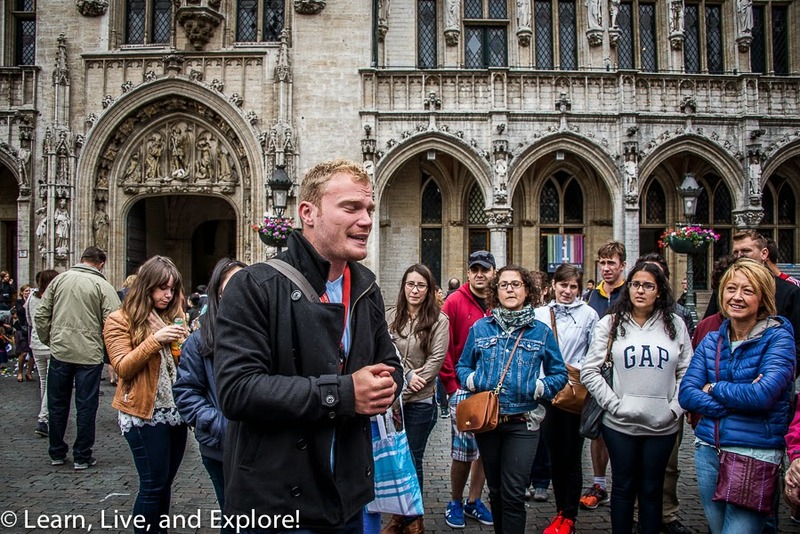 During the break in the tour, PJ went over the other tours offered by Sandemans (not free, though). He was going to be leading one that started an hour after this walking tour that was a guide to Belgian beer. I had been drinking my way through Belgian beer menus all week, so I thought this would be a good way to pair experience and information in order to have it all make sense! My beer tour is going to be in a separate post, so I won't bore you with that here. The rest of the 2.5 hour tour covered the Bourse stock exchange, the Opera House, Cathedral of St. Michael, and the Royal Garden - which was built by the free masons and has a pathway design in the shape of a compass. Those sneaky little masons! 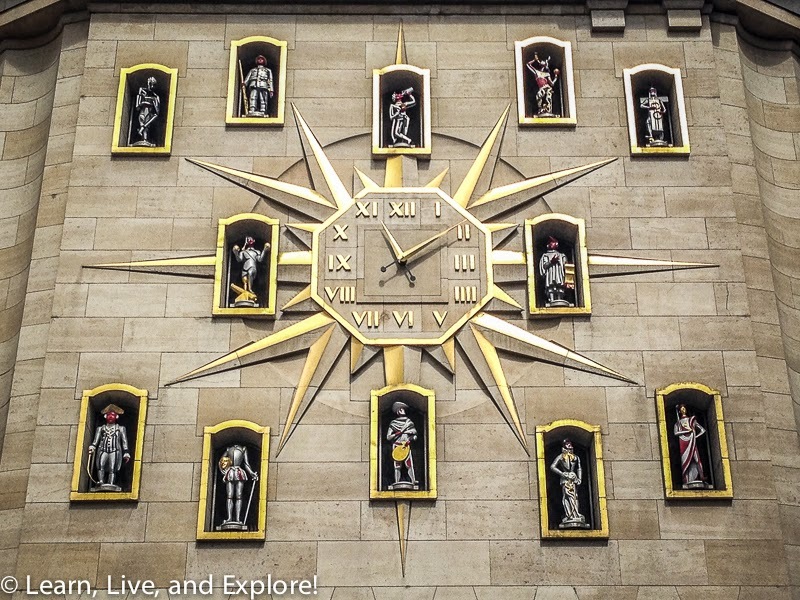 Safety Tip: We walked to the Gare du Midi on the first day to get the metro, and I had an uneasy feeling about the street to and the area around the train station. I asked my guide about it because I stayed across from Gare du Midi when I returned to the city, since I had an early morning Eurostar train to catch to London, and he said to be careful and highly recommended public transportation at night. I took a cab because I wasn't taking any chances!